On Monday 29th February, the Permanent Mission of Denmark marked the launch of Denmark’s candidature for the Human Rights Council (2019-2021) by introducing a new open source tool to promote transparency in the work of the Human Rights Council: rightdocs. The introduction of rightdocs and the presentation of Denmark’s vision for its candidature for what would be its first-ever Council membership term, took place in the presence of H.E. Mr. Kristian Jensen, the Danish Minister for Foreign Affairs. Rightdocs has been developed by HURIDOCS in consultation with the Universal Rights Group, with the goal of improving the accessibility of Human Rights Council resolutions by giving the user easy access to, and search and compare text and data on, resolutions, as well as to display patterns. 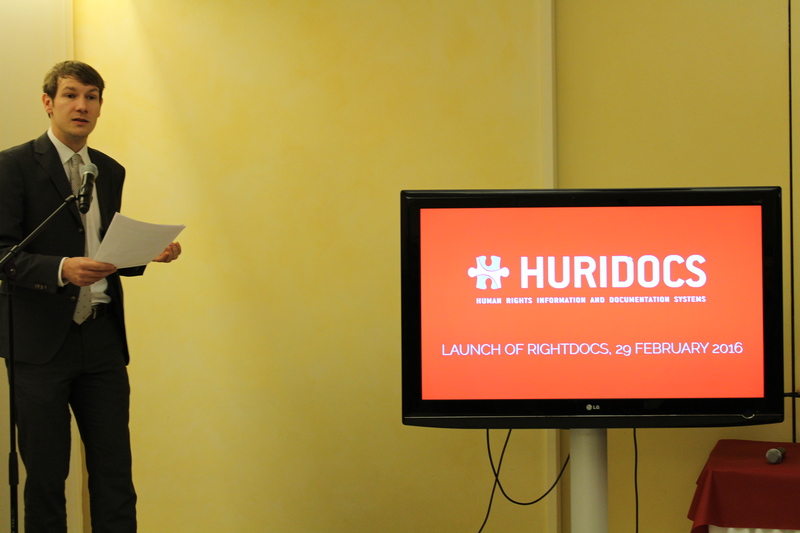 During the event, HURIDOCS introduced the tool and Universal Rights Group offered insights on its relevance and utility from a practitioner’s perspective. The tool is available online for all to use.